For Telugu Dhruva movie trailer launch,Rakul preet singh donned a nitya bajaj maxi dress along with sequins jacket.She kept simple look yet stylish with small puff ponytail and strap heels. 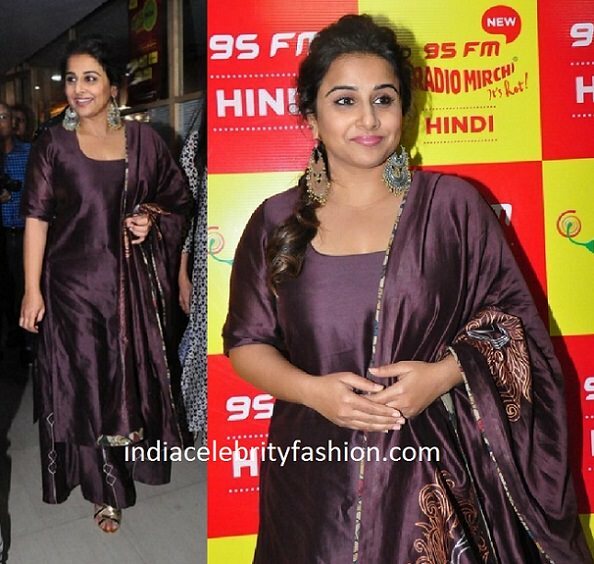 As part of kahaani 2 promotions,Vidya balan visited radio mirchi office in a label manika sureka salwar kameez with palazzo pants.Messy hair,ritika sachdeva earrings and aprajitatoor gold cross strap sandals rounded off her look. 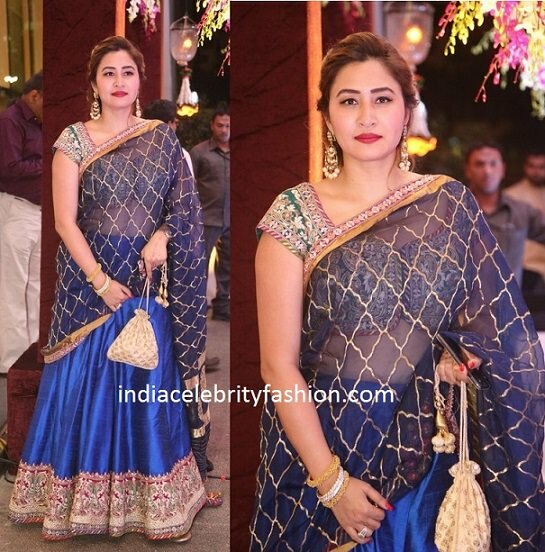 For Sania Mirza sister Anam Mirza wedding reception,Badminton player Jwala gutta donned a designer blue raw silk half saree with broad embroidery work paired with gold checks net dupatta and matching short sleeve blouse.Designer jewelry and potli complemented her look. Beautiful gold balls work blouse in elbow length which is perfect for bridal pattu saree for any wedding. 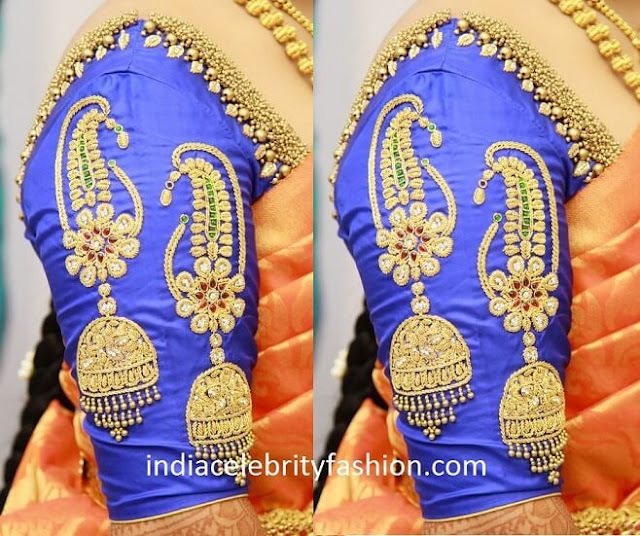 For Gali Janardhan reddy daughter Brahmani reddy wedding,Rakul preet singh donned a bhargavi kunam green kanchipattu saree paired with hand embroidered elbow length blouse.Tied hair in a bun with flowers,green bindi and jewellery rounded off her look.Styled by Neeraja Kona. 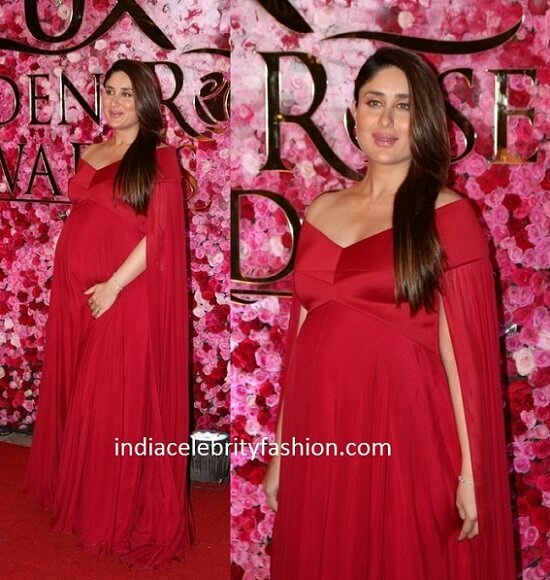 For 2016 Lux Golden rose awards,soon to be mom Kareena kapoor donned a bright red gauri and nainika long gown.Jet gems jewellery and side swept soft hair completed her look. She looked pretty in pregnancy glow. 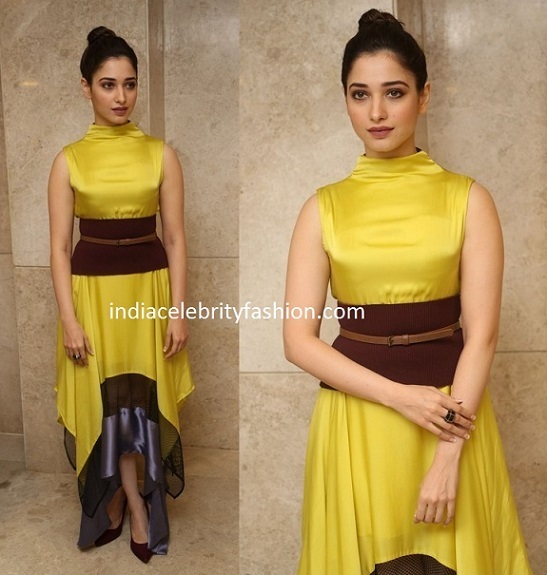 At Okkadochadu music launch,Tamannah bhatia was seen in a dhruv kapoor belted asymmetric dress.High bun hair,ring and aldo pointed pumps rounded her look. 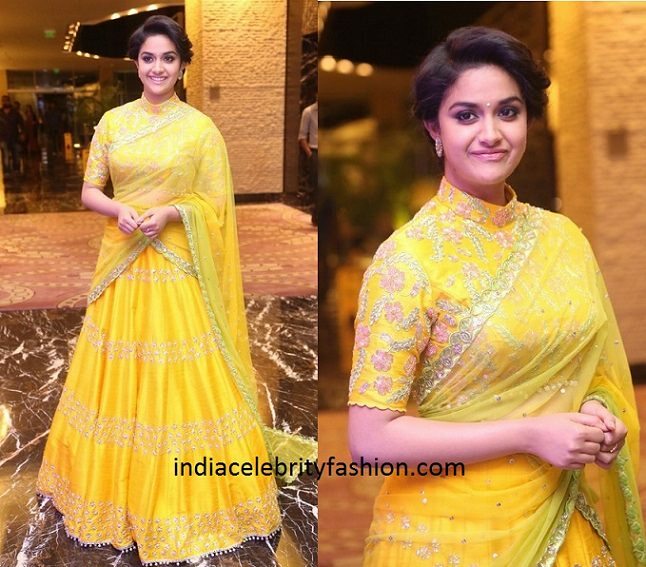 For Remo movie music launch,actress Keerthi suresh donned a rich yellow color divya reddy lehenga with shimmer work and collar neck blouse.